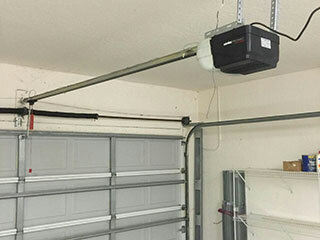 When your hardworking garage door opener fails, it can be frustrating. We make it our goal to make sure that you don’t have to put up with the inconvenience of a broken motor for an extended period, thanks to the skills of our professional technicians. When you call Garage Door Repair West Jordan, one of our helpful consultants will arrive at your home within minutes to thoroughly inspect your opener and start repairs without keeping you waiting for replacement parts or equipment.It’s this combination of speed and quality service that have made us a top-rated local business. For years, we’ve been trusted by thousands of residential clients, and we’re ready to help you too! Your old garage motor stopped working suddenly, and you desperately need to get a new one but have no idea where to start. How do you know which type to go for? Which brand should you choose? Which horsepower rating will provide enough lift to operate your door? You don’t have to figure all of this out on your own! Our team of specialists will walk you through the entire process of choosing a unit that’s perfectly suited to your needs. We carry a broad range of models and brands from well-known manufacturers. Before you know it, we’ll have your new opener installed and working flawlessly. Repeated, daily use of your garage door results in its parts wearing out. With time, the motor will have its share of wear-and-tear problems too. Issues such as a burnt out capacitor, a failed logic board, and damaged gears may seem quite serious but are relatively common. Just call us to have a look and trust our technicians to have these garage door opener parts, and many others repaired fast. We know it’s impossible to predict when you’ll need urgent repairs or a replacement of your garage door opener, so we make sure that our teams are well-prepared to act quickly when you call for our help. We schedule all of our appointments to ensure that the repairs can be completed within the same day. Don’t hesitate to call us today!